Opening-night film: “Green Book,” about an African American pianist who embarks on a 1960s tour of the South with the help of a bouncer; 5:30 p.m. Wednesday, Nov. 7, Uptown Theatre, Napa; followed by the opening-night party at the Studio by Feast It Forward, 1031 McKinstry St., Napa. 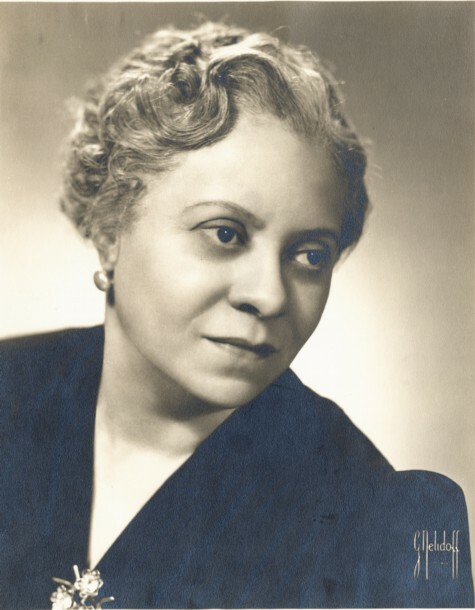 Join us for a lunchtime program celebrating the music of Florence Price and William Grant Still. Baritone Emery Stephens and pianist Linda Holzer, both music faculty at UA Little Rock, will take guests on a musical journey through the lives of these two great Arkansdas composers. This is a free event. Bring your lunch; beverages are provided. Sphinx is honored and grateful to receive a $1.5 million grant from The John S. and James L. Knight Foundation to support the launch of a new professional development initiative, Sphinx LEAD (Leaders in Excellence, Arts & Diversity). The grant is part of the Knight Foundation's new $20 million investment in the arts in Detroit. Empowered by the support of this new initiative, Sphinx LEAD will begin in January 2019 and will serve Black and Latinx arts leaders who are looking to advance their personal and professional growth in order to produce impact in their communities and in the arts field as a whole. Each Sphinx LEAD participant will design a growth plan, receive ongoing personalized coaching and mentorship, and attend Leadership Retreats hosted by major cultural organizations. Retreats will allow participants to learn from experts in the field and take advantage of networking opportunities. 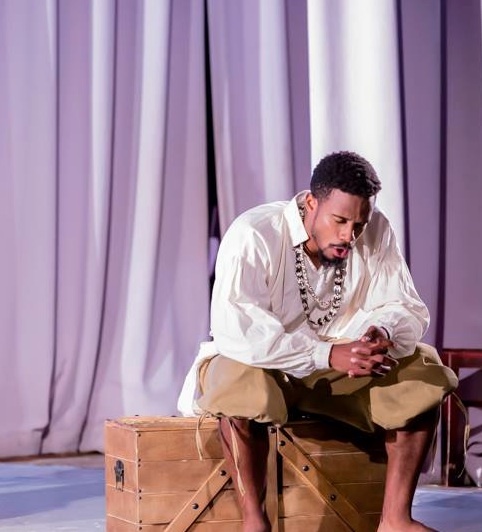 The first of these will take place in Detroit, bringing national arts leaders to the city where Knight Foundation has committed to strengthening and empowering the arts. “Great art, tough art, challenging art helps to tell a great city’s own story. Nowhere is this more true than today’s Detroit,” said Alberto Ibargüen, Knight Foundation president. Other retreats throughout the program will take place at The Juilliard School in New York City; the Cleveland Institute of Music; and New World Symphony in Miami, FL. Stanford Thompson will oversee Sphinx LEAD as Dean. 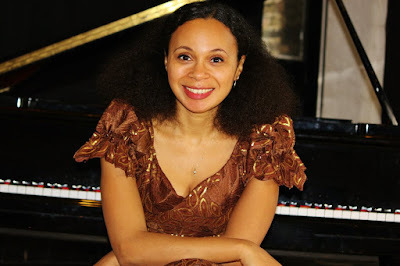 Thompson is the Founder and Executive Director of Play On, Philly!, an organization that provides intensive music education to K-12 students. 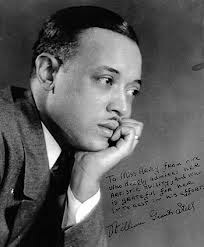 He was also a recipient of Sphinx’s Medal of Excellence, a program which recognizes outstanding classical musicians of color. Aaron P. Dworkin, founder of the Sphinx Organization and Professor of Arts Leadership and Entrepreneurship at the University of Michigan, will serve as Senior Advisor. For Sphinx LEAD program information and application details, visit SphinxLEAD.org. For more information about the Knight Foundation investment, visit kf.org/detroitartsinvest. 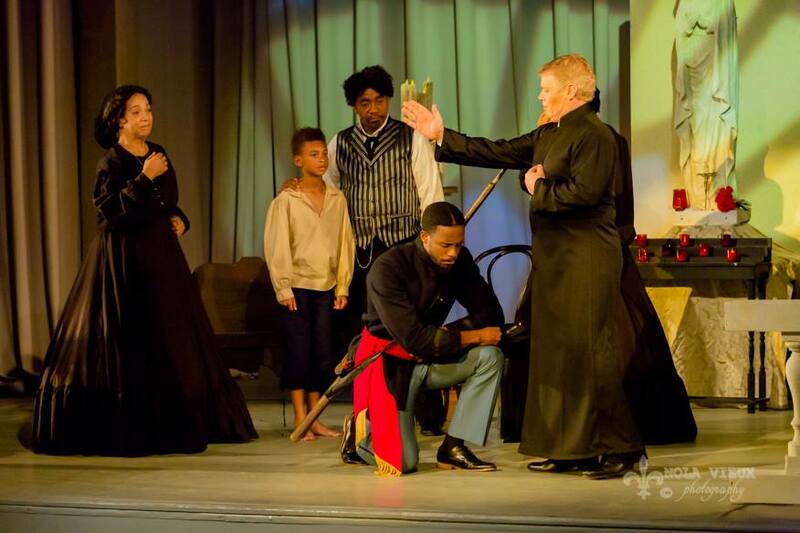 The Sphinx Organization is the social justice organization dedicated to transforming lives through the power of diversity in the arts. 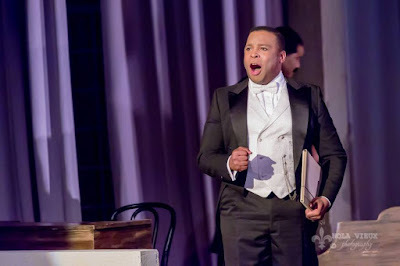 Sphinx’s four program areas – Education & Access, Artist Development, Performing Artists, and Arts Leadership – form a pipeline that develops and supports diversity and inclusion in classical music at every level: music education, artists performing on stage, the repertoire and programing being performed, the communities represented in audiences, and the artistic and administrative leadership within the field. 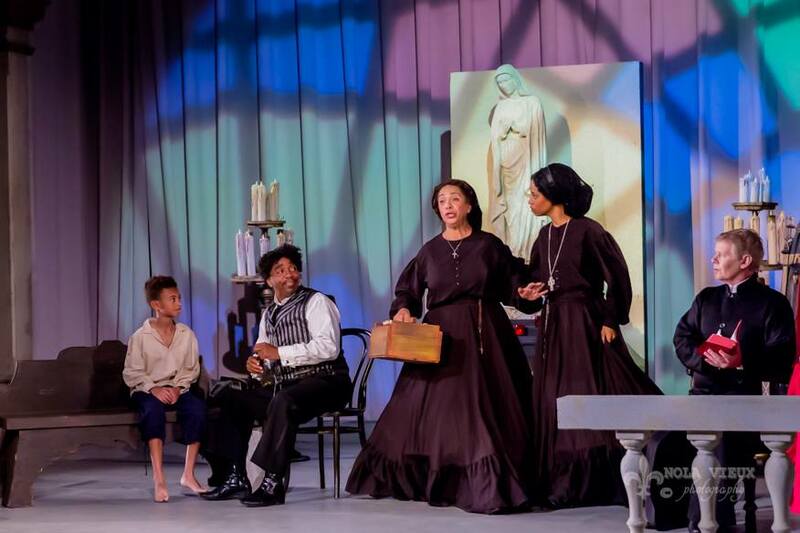 Sphinx programs reach more than 100,000 students and artists, as well as live and broadcast audiences of more than two million annually. 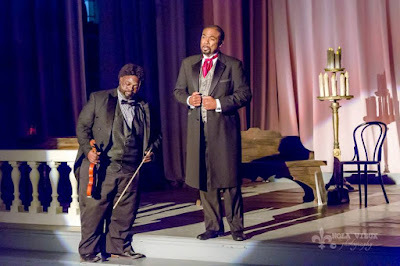 Read more about Sphinx’s programs at www.SphinxMusic.org. Stanford Thompson is a musician and educator who serves as the Founder and Executive Director of Play On, Philly! and Founding Board Chairman of El Sistema USA, bringing music education to students in underserved areas throughout Philadelphia and beyond. Recognized as a TED Fellow in 2017, Stanford believes that music education is a powerful tool for positive personal and community change. Mr. Thompson serves on the faculties of the Global Leaders Program and SAAVY Arts Venture while regularly lecturing at major Universities and Conservatories about leadership, entrepreneurship and social justice. As a consultant, he has guided the development of dozens of El Sistema-inspired programs across the United States and collaborated with major orchestras and arts organizations to develop new strategies and initiatives that helps provide equitable access to the arts. As a professional trumpeter, Stanford has performed as soloist and section member with major international orchestras and continues to perform chamber music and jazz. 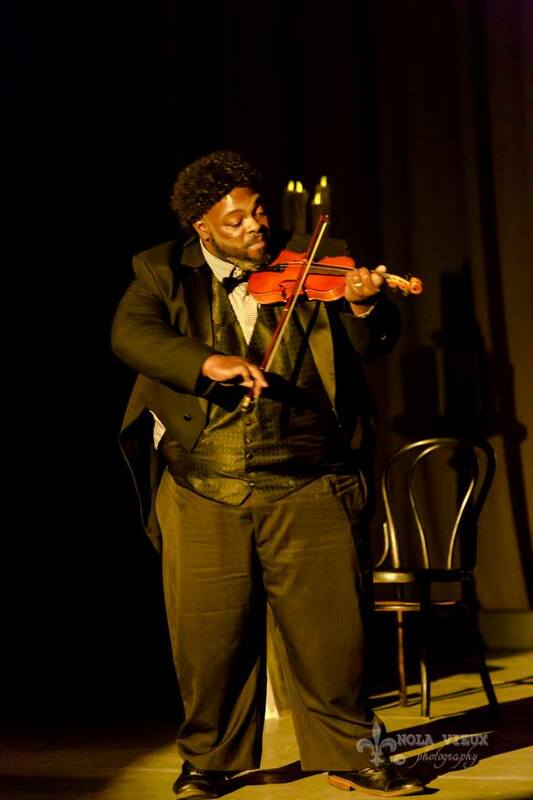 Stanford is a native of Atlanta, GA and hold degrees from The Curtis Institute of Music and the New England Conservatory’s Sistema Fellows Program. Named a 2005 MacArthur Fellow, President Obama’s first appointment to the National Council on the Arts, and Governor Snyder’s appointment to the Michigan Council for Arts & Cultural Affairs, Aaron P. Dworkin previously served as dean of the University of Michigan’s School of Music, Theatre & Dance (SMTD), which is ranked among the top performing arts schools in the nation. He is currently a tenured full professor of arts leadership and entrepreneurship at SMTD as well as serving as a professor of entrepreneurial studies at the Stephen M. Ross School of Business at the University of Michigan. 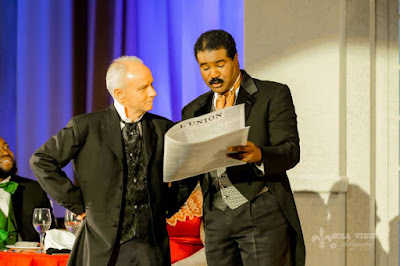 In addition, he is the founder of ArtsShare.com, which serves as the global marketplace for the arts, as well as The Sphinx Organization, the leading national arts organization with the mission of transforming lives through the power of diversity in the arts. Dworkin is the producer and host of AaronAsk, a weekly online mentoring show on creativity and leadership. The Cleveland Institute of Music empowers the world’s most talented classical music students to fulfill their dreams and potential. Its graduates command the most celebrated and revered stages in the world as soloists, chamber musicians and ensemble members; compose meaningful, award-winning new repertoire; and are highly sought-after teaching artists, administrators and thought leaders. 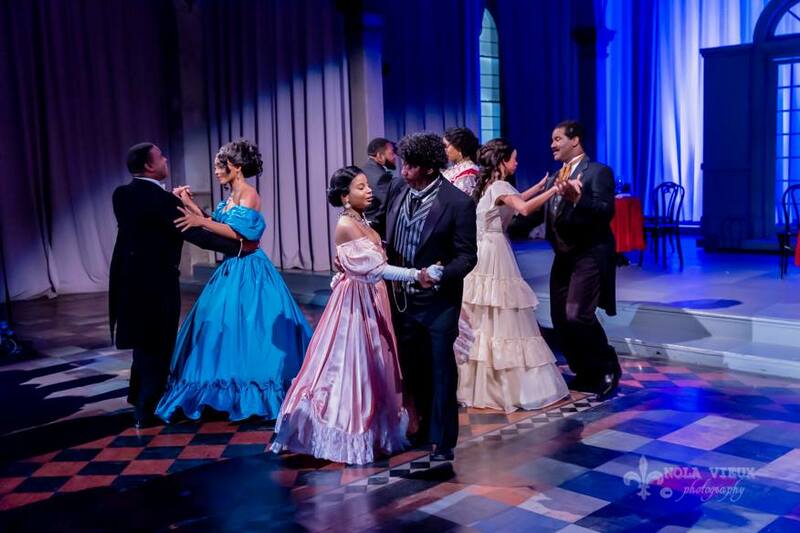 The Institute’s commitment to diversifying American classical music, focusing on expanding opportunities for African American and Latinx musicians in the conservatory and in pre-college programs, has been celebrated by students, alumni and partners. A testament to the excellence of a CIM education, more than half of the members of The Cleveland Orchestra are connected to CIM as members of the faculty, alumni or both. Explore cim.edu to learn more. 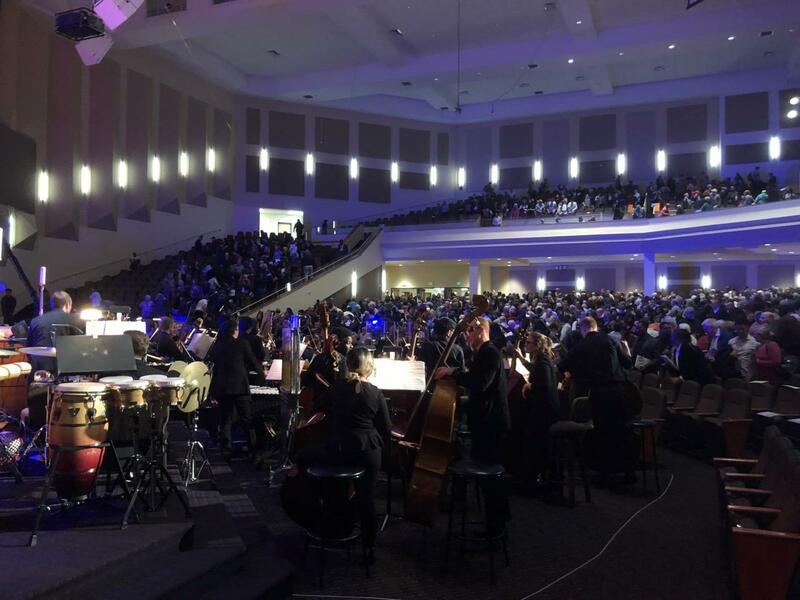 The New World Symphony, America’s Orchestral Academy (NWS), prepares graduates of music programs for leadership roles in professional orchestras and ensembles. 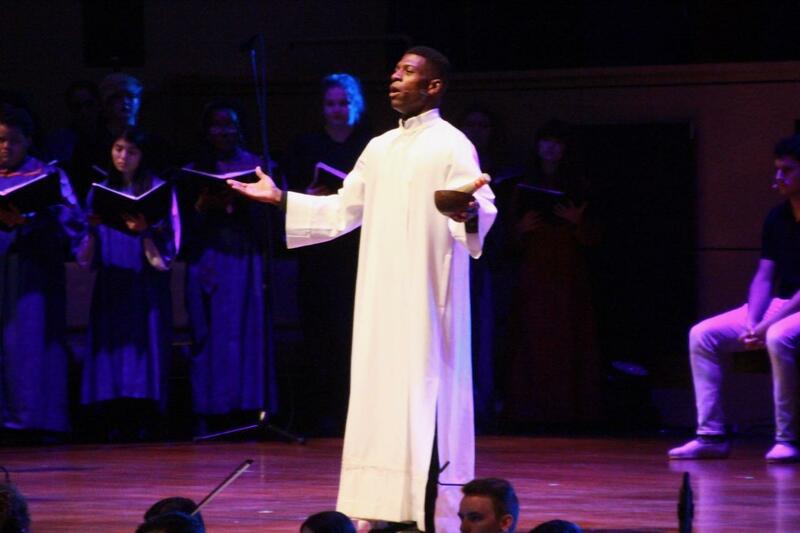 In the 30 years since its co-founding by Artistic Director Michael Tilson Thomas and Lin and Ted Arison, NWS has helped launch the careers of more than 1000 alumni worldwide. A laboratory for the way music is taught, presented and experienced, the New World Symphony consists of 87 young musicians who are granted fellowships lasting up to three years. The fellowship program offers in-depth exposure to traditional and modern repertoire, professional development training and personalized experiences working with leading guest conductors, soloists and visiting faculty. Relationships with these artists are extended through NWS’s extensive distance learning via the internet. Visit nws.edu. [Alexandria, VA] "This weekend we witnessed one of the deadliest acts of violence against the Jewish community in United States history. Religious institutions are meant to be a safe place for healing and worship and not a place where violence is even imaginable. Violent hate crimes, such as this shooting, have no place in our society. With an uptick in hate crimes against religious institutions, this latest shooting reminds us of the need for significant change and action to reduce gun violence and hate crimes in this country. This shooting not only impacts the members of the Tree of Life Synagogue Congregation and the Pittsburgh community, but its effects are felt across communities of faith throughout this nation. Our prayers remain with the families, friends, and members of the Tree of Life Synagogue Congregation, and the many heroic first responders from various agencies who were called to duty," stated NOBLE National President, Vera Bumpers. This past weekend's Synagogue shooting in Pittsburgh, PA has left eleven people killed and six others wounded, including four police officers. Law enforcement officials identified the assailant. He was charged with 29 federal charges which includes 11 counts of obstruction of exercise of religious beliefs resulting in death. As communities of faith look for ways to protect their parishioners, we encourage faith leaders to visit the Department of Justice website for a free evaluation to help keep their members safe in their places of worship. Ignatius Sancho (c.1729 – 14 December 1780) writer, campaigner, abolitionist, composer, shopkeeper. He was celebrated in the late 18th-century as a man of letters, a social reformer and an acute observer of English life. He gained fame in his time, and to eighteenth-century British abolitionists he became a symbol of the humanity of Africans and immorality of the slave trade. Sancho grew up an orphan. At the age of two he was taken from West Africa to London where he was forced to work as a slave for three sisters at a house in Greenwich. During this time he met the 2nd Duke of Montagu, who lived in nearby Blackheath. He liked the young Ignatius and bought him books, and tried to persuade the sisters to educate him. After the duke’s death Sancho ran away from the house in Greenwich and persuaded the duke’s widow to employ him. Sancho worked in the Montagu household for the next 20 years, serving as Mary Montagu’s butler until the Duchess’s death in 1751, and then as valet to George Montagu, 1st Duke of Montagu, until 1773. 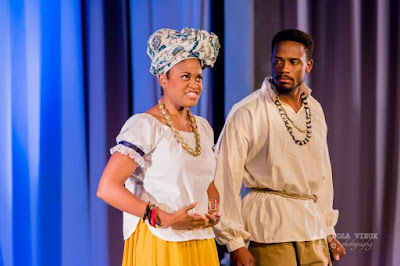 In 1758 Sancho married Anne Osborne, a West Indian woman with whom he had seven children. After Sancho left the Montagu household, the couple opened a grocery store in Westminster, where Sancho, by then a well-known cultural figure, maintained an active social and literary life until his death in 1780. As a financially independent male householder, Sancho became eligible to vote and did so in 1774 and again just before his death in 1780. 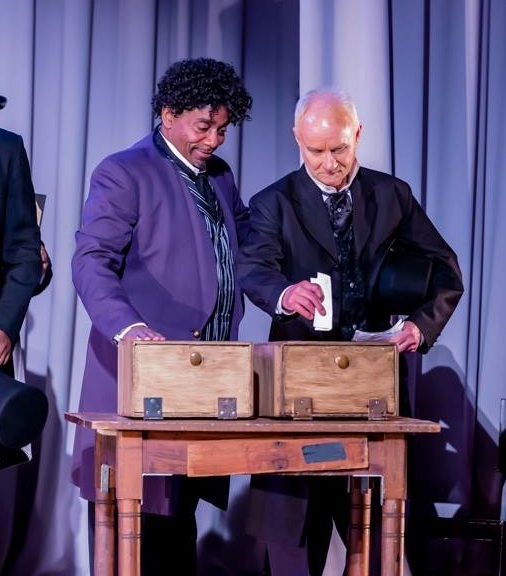 He was the first person of African descent to vote in a British general election. He is also the first known person of African descent to have an obituary published in British newspapers. What a joy to tell the story of these great composers of color, journalists, and freedom fighters who petitioned President Lincoln for the right to vote. 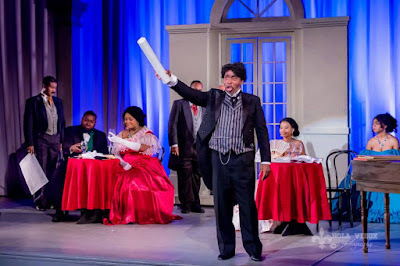 The opera is built upon music by 19th Century New Orleans free composers of color, with the piano works arranged for strings and piano trio by Tucker Fuller. 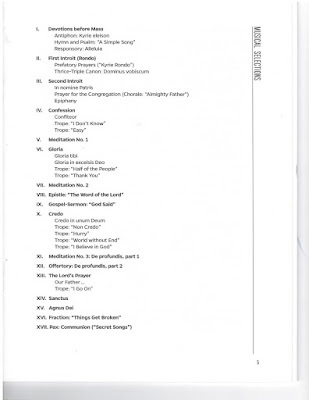 Additional historical lyrics and melodies by Givonna Joseph, and a hymn by Dr. Marcus St. Julien. We are ready to take it on tour!! Help us to continue our work. A monthly donation of $5.00 will go a long way!! Stanley J. Thurston leads Heritage Signature Chorale, 4 PM Sun. Nov. 11 in Washington, D.C. The Heritage Signature Chorale (HSC), conducted by Artistic Director Stanley J. Thurston, will present two evocative Master Works at an afternoon concert, with soloist soprano Angeli Ferrette and full Orchestra. 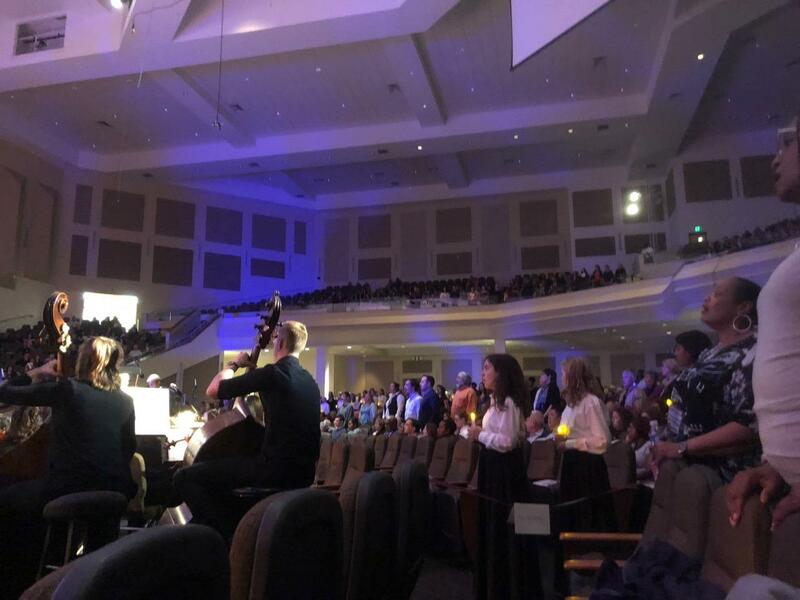 Bask in the lyrical melodies, the ethereal orchestral colors, the angelic soprano solo lines, and the warm harmonies delivered by HSC singers and musicians, in Poulenc’s “Gloria.”   This Gloria is unpretentious, witty, and heart-endearingly beautiful; generously orchestrated with full wind ensemble, brass, strings, timpani and harp. Consecrate the Place and Day to Music! We'd love to see you in the audience! Greetings and welcome to this week's episode of AaronAsk, your weekly mentoring session to live a fulfilling creative life! This week's episode is titled, Castle on the Hill-The Feeling! Enjoy, we wish you a creative day and see you for next week's session! 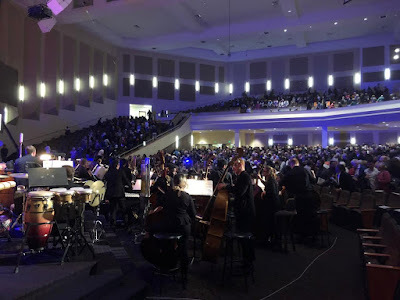 Morgan State University performs Bernstein Mass at New Psalmist Baptist Church with Marin Alsop! Last night, members of the Morgan State University Choir performed Leonard Bernstein’s acclaimed Mass at New Psalmist Baptist Church in Baltimore, MD. 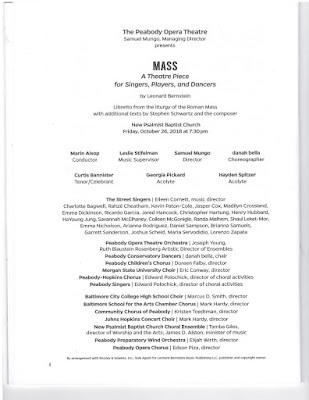 Our performance was conducted by maestra Marin Alsop, music director of the Baltimore Symphony Orchestra. 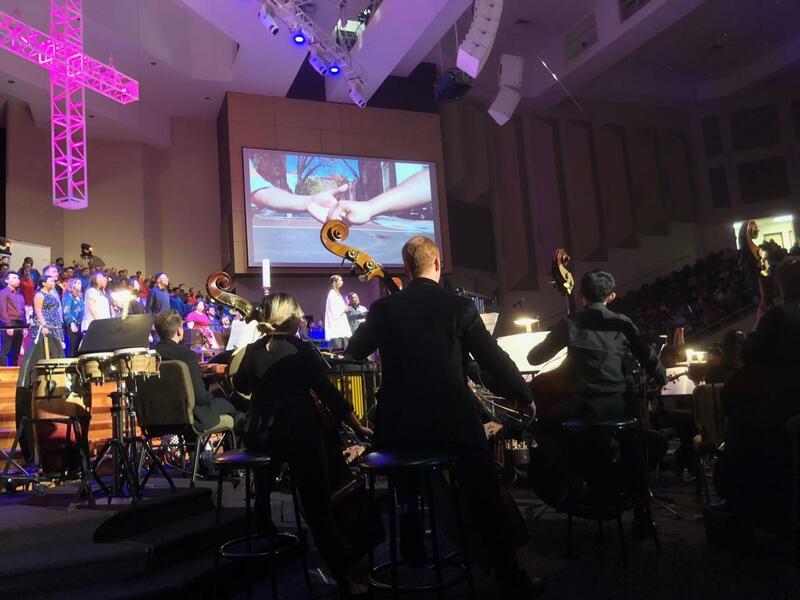 This concert, in partnership with many other musical organizations in the city, was spearheaded by the Peabody Conservatory of the Johns Hopkins University. The principal groups participating in the concert with Morgan were the Peabody Opera Theatre Orchestra, Peabody Hopkins Chorus, Peabody Children’s Chorus, Peabody Singers, and Peabody Conservatory Dancers. 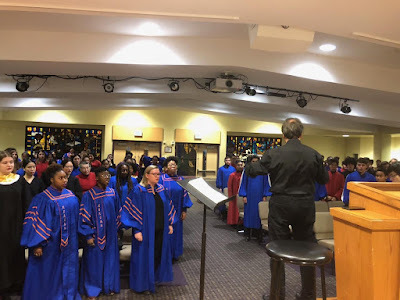 Additional community partners included Baltimore City College High School Choir, Baltimore School for the Arts Chamber Chorus, Community Chorus of Peabody, Johns Hopkins Concert Choir, New Psalmist Baptist Church Choral Ensemble, Peabody Preparatory Wind Orchestra, and Peabody Opera Chorus. 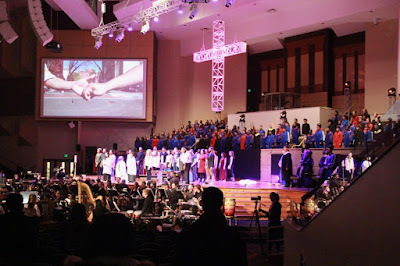 There were over five hundred participants involved in the performance - one reason why this piece is rarely performed! 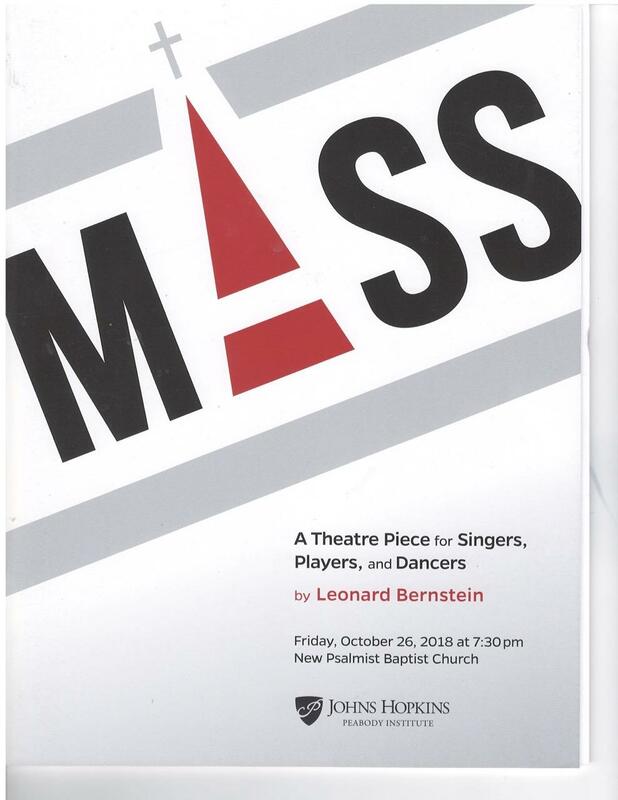 Mass was premiered in 1971 - a commission by Jacqueline Kennedy for the opening of the Kennedy Center - paying tribute to her late husband, John F. Kennedy and his Catholic heritage. Leonard Bernstein’s Mass is not a traditional classical presentation of the Mass, but a musical theatre piece highlighting the main’s character’s (Celebrant's) spiritual journey and examination of ritualistic religion. The other main components of this mass are a Church chorus that sings parts of the proper of the Mass (Kyrie, Gloria, etc.) juxtaposed with a Street Chorus that gives a individual and group secular presentations, almost a militant questioning of the part that God plays in their respective lives. 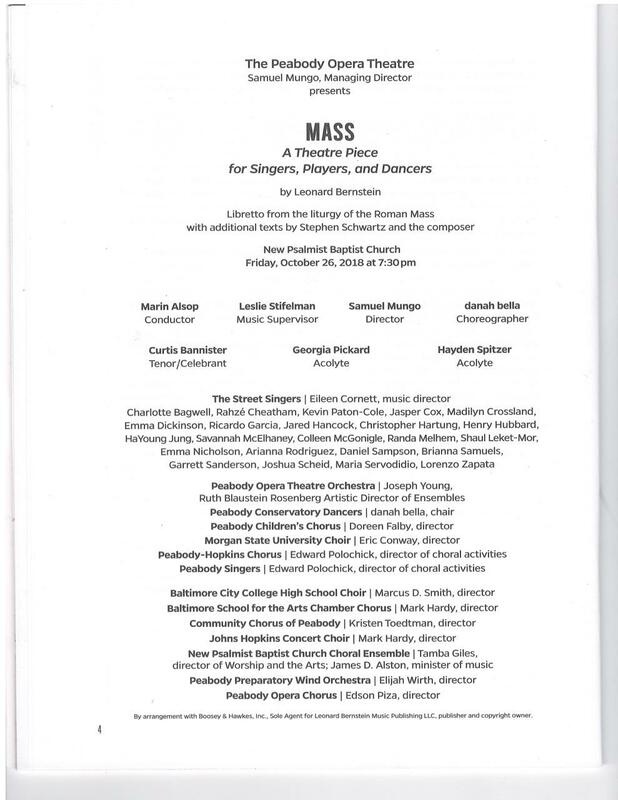 Unfortunately, due to its non-traditional approach to the mass, the premiere of this piece was scandalous, and not received well by many, particularly Catholics. 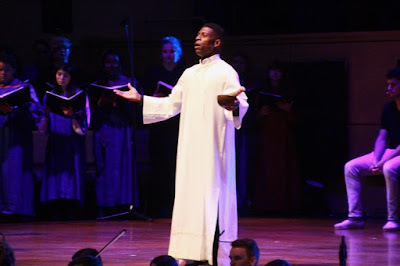 The Morgan choir performed this piece ten years ago, back in 2008 when the Morgan State University Choir and Morgan State University Band performed this piece with the Baltimore Symphony Orchestra at the Meyerhoff Symphony Hall and ultimately Carnegie Hall in New York City again under the direction of Marin Alsop! The professional recording went on to be nominated for a Grammy-award in the category of "best classical recording." As great as that run was in 2008, last night’s performance was at least 50% larger in scope. 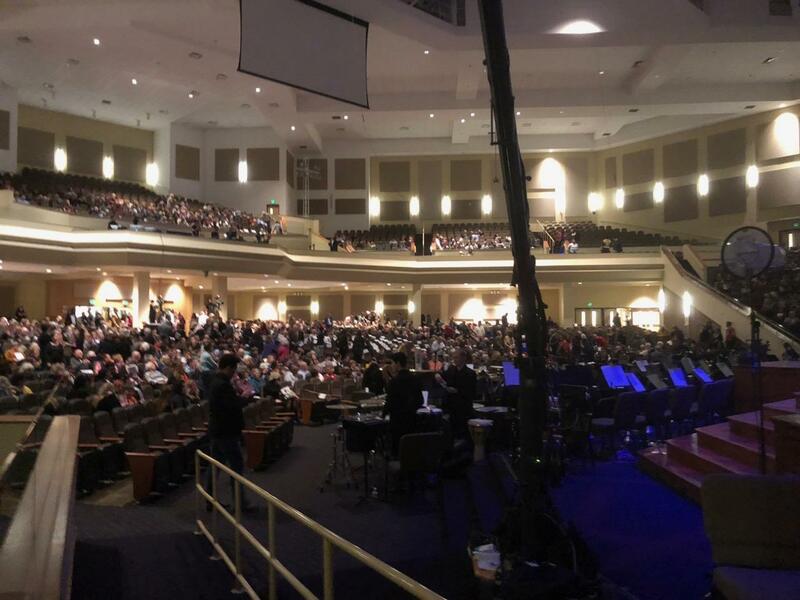 One reason for this increase was the opportunity the sanctuary of New Psalmist afforded the director for additional movement on stage as opposed to a concert hall. 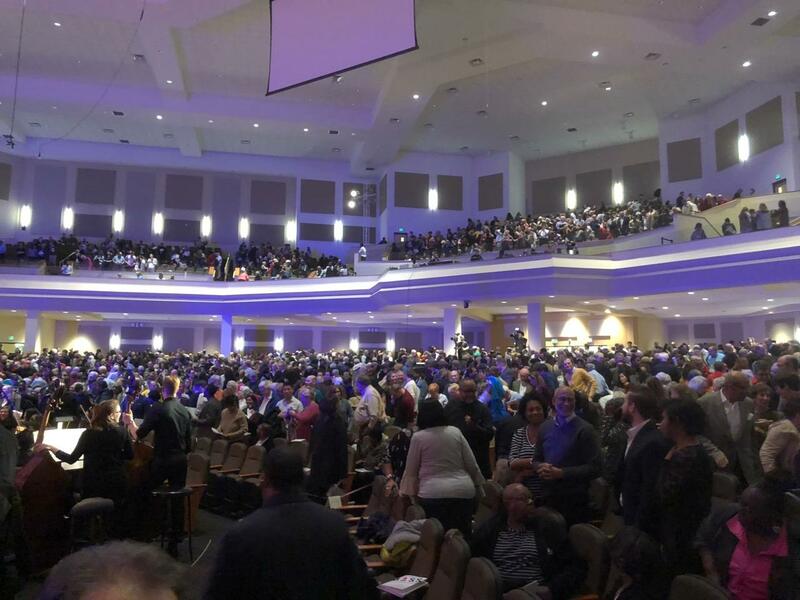 New Psalmist must be the largest venue in the city of Baltimore with over 4,000 seats! The pulpit area is quite vast. With the large choir loft for the chorus of 160, and 100 member orchestra on the floor in front of the pulpit area, the sanctuary was transformed into a concert-hall. On a rainy Friday night, at least 2,800 persons came out to see this concert. 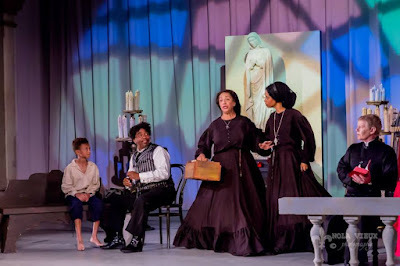 With some risqué-language in some of the songs, almost blasphemy of the Catholic rite at times, and an agnostic questioning of religion throughout, the presumably many persons in the audience who were “believers” enthusiastically appreciated the production, even the clergy in the house! The individual performances were fantastic, especially the principal role of Celebrant performed by Curtis Bannister. Marin Alsop perfectly controlled this behemoth production with panache. 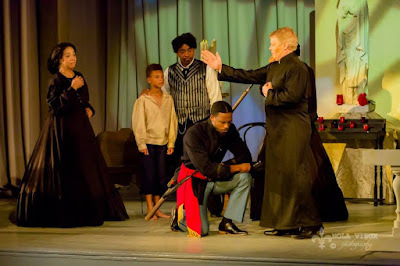 At the end of the performance, everyone in cast sang the solemn prayer “Almighty Father” which gave closure to the entire show. 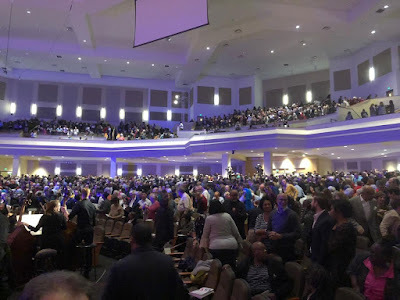 At the very end the Celebrant gave the blessing, “the mass has ended, go in peace!” Performed without intermission, this was definitely the place to be in Baltimore last night! A large reception was held afterwards, hosted by the Peabody Conservatory, for what appeared to be anyone who wanted to attend. 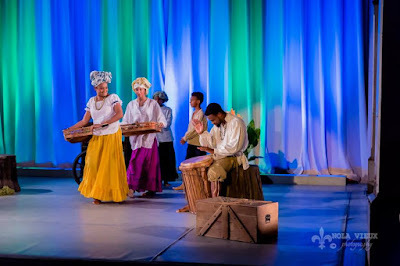 See attached some photos from the production, a few pages from the program, and a link to the performance that was streamed-live on Peabody/Johns Hopkins website. I managed to remotely access my computer to capture the video and post. Enjoy! 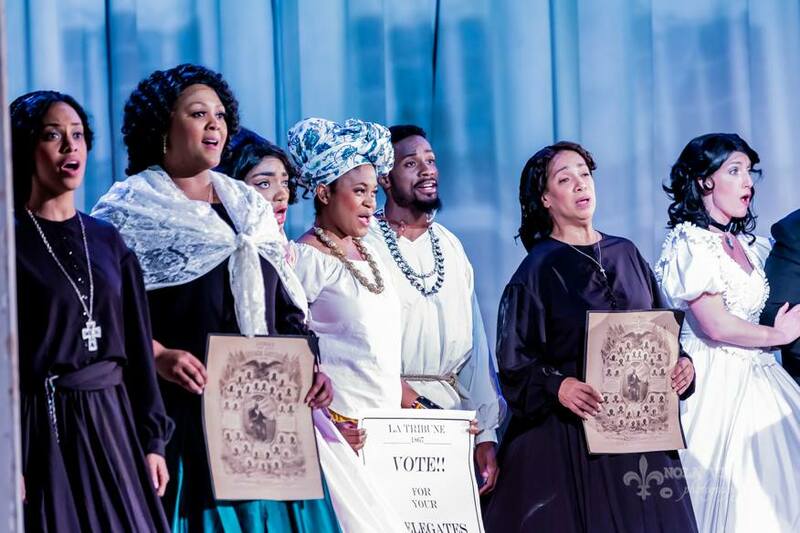 The Afro-American Chamber Music Society Orchestra has combined some of the world's finest forms of music for the November 17th Gala Concert including Spirituals, Opera and the Concerto. The internationally acclaimed artists: Michael Wright from the Albert McNeil Jubilee Singers, Maia, harpist, Wayne Shepperd from the LA Opera along with the young emerging opera star, Crystal White from Houston will perform music from Porgy & Bess, Carmen, Don Giovanni and Spirituals by Dett and Burleigh. AACMSO will pay tribute to the well known jazz pianist & composer, Howlett Smith (Smitty), pianist for the television series, "General Hospital" and "All My Children" best known for his composition "Little Altar Boy" with the Glory Hallelujah Variations Piano Concerto performed by Janise White, AACMSO Founder & Conductor. 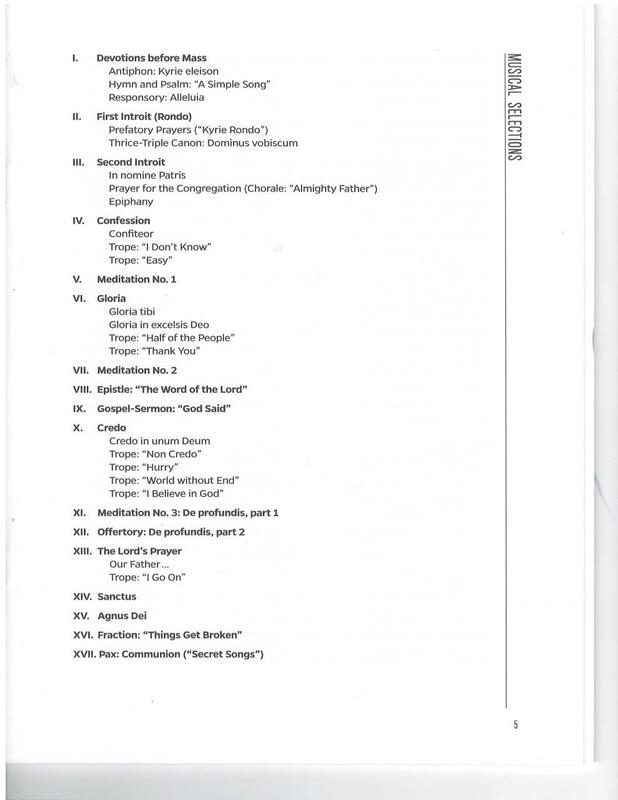 Other works featured on the program include: Lyric for Strings by the late George Walker, Pulitzer Prize Winner and Thanksgiving Prayer, "Lord We Thank You" by Barbara Sherrill. 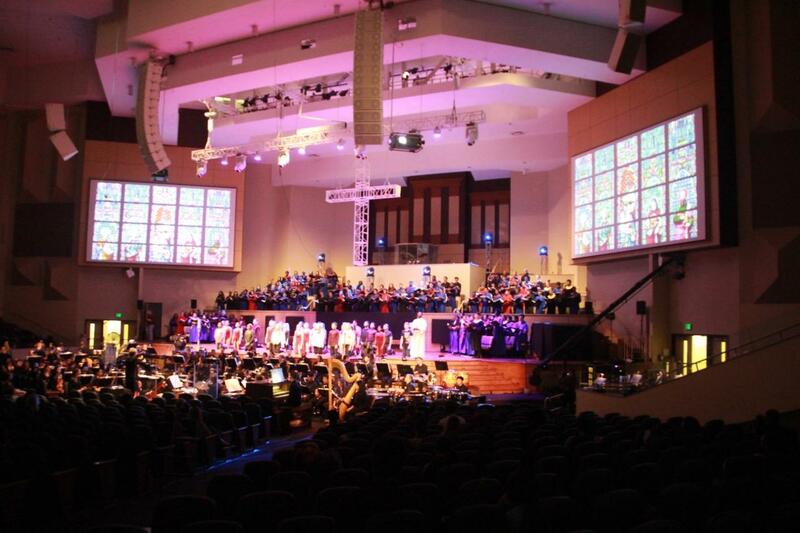 The Concert will be held at Vallejo Drive SDA Church, 300 Vallejo Drive in the city of Glendale. Doors open at 4:30pm and starts at 5pm. Tickets are $15, $30, $100 or more available on brownpapertickets or at the door. Refreshments include Yam Good Cookies! See the link: aacmso.brownpapertickets.com for further information. Chicago Sinfonietta: A Special Event With Reena Esmail | Celebration of Light Extended! On Friday, November 2, the Symphony Center Presents Jazz series presents a concert featuring the Branford Marsalis Quartet with special guest Roy Hargrove, as well as a world-premiere SCP commission written and performed by AAN member and pianist Reginald R. Robinson. The CSO African American Network invites you to join us for a special preconcert conversation with Reginald R. Robinson in Grainger Ballroom at 7:00 p.m. Moderated by Columbia College Chicago professor Stan West, this conversation will explore Robinson's commission, which celebrates James Reese Europe, a jazz pioneer whose WWI "Harlem Hellfighters” regiment first brought black American music to France during the Great War. This preconcert event is open to all ticketholders. Our next concert will take place on October 28, 2018 at 3 PM in Goddard Riverside Community Center's intimate Bernie Wohl Center. ﻿Donations of any amount are much appreciated.